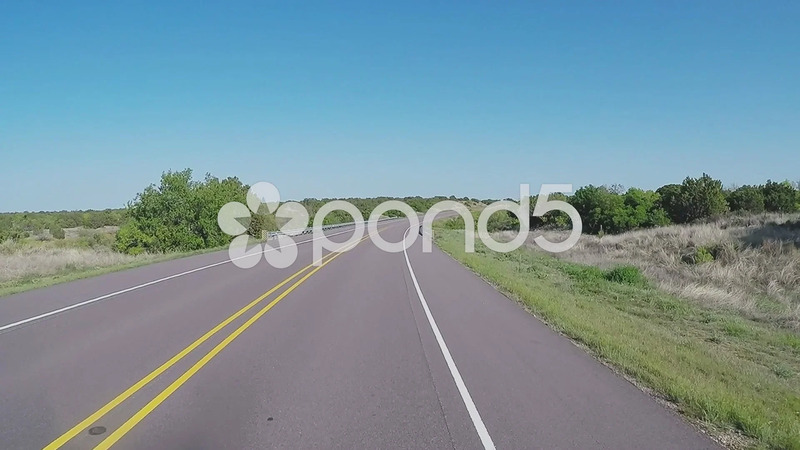 Description: Viewpoint driving on a scenic section of a North Central Texas highway. A driver travels an empty stretch of road with bushes and trees along either side. Part of a series of clips by ChromaVid featuring point of view vehicle driving shots.